Combine soy sauce, brown sugar, pear, apple, pineapple, corn syrup, onion, salt, and garlic in a blender; process until smooth. Pour the mixture into a large bowl or 6-quart Dutch oven. Add 3 cups cold water, sake, and mirin. Add short ribs to marinade, and turn to coat. Cover and chill for at least 24 hours. Preheat a charcoal or gas grill to medium-high (about 450°F). Remove short ribs from marinade; discard marinade. Grill short ribs, uncovered, turning often, until slightly charred but still tender, 5 to 6 minutes. 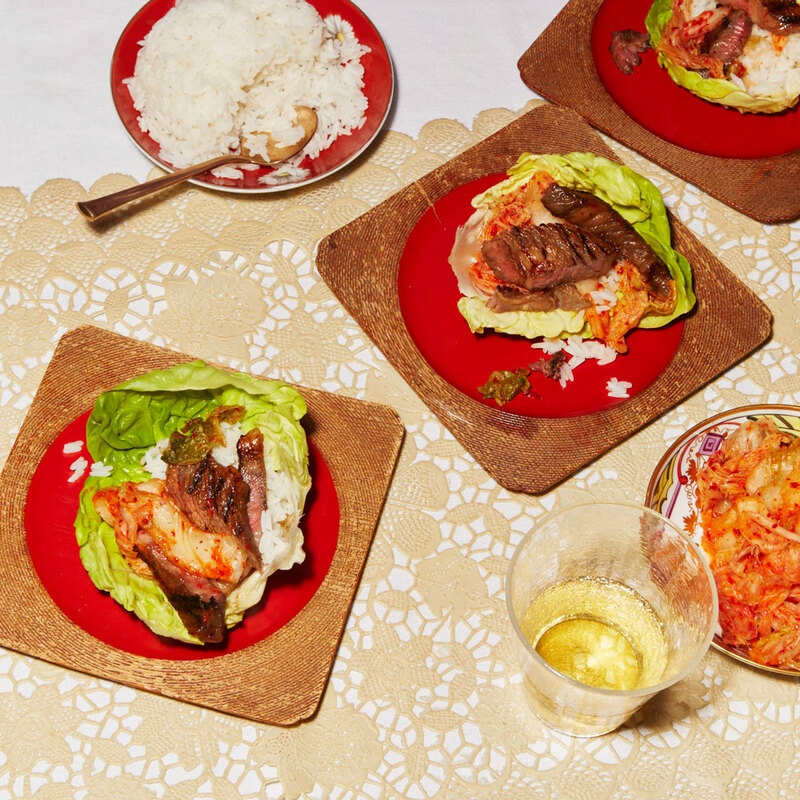 Serve short ribs with rice, kimchi, and lettuce. To make wraps, spoon rice into lettuce leaves. Top with short rib meat and kimchi.